If you sign, you’re generally bound. Those unfavourable terms regarding termination and severance? That’s right- you’re generally stuck with them. 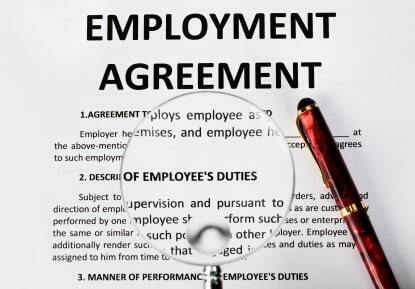 No matter what the nature of your employment is, always have your independent legal counsel (an employment lawyer, not a generalist) review the terms of your new agreement BEFORE you sign. We particularly hate seeing long-term employees restricted to the statutory minimums under the Employment Standards Code (Alberta) when they’re subject to a layoff (which can amount to a fraction of what would otherwise be received by way of compensation) than be entitled to common law reasonable notice or pay-in-lieu. It often comes as a complete surprise to the affected employee, all because they failed to have the contractual terms properly reviewed by independent counsel at the time of hiring. These “termination policies” are sometimes referentially incorporated into agreements, and buried in the fine print of the accompanying policy documents. Protect yourself and your family and contact YYC Employment Law Group for a review, before it’s too late.